The 14 teams that will compete for the Scotties Tournament of Hearts Canadian Women’s Curling Championship have now been determined. Moncton’s Sylvie Robichaud claimed her second New Brunswick women’s championship on Sunday in Fredericton Junction, beating Fredericton’s Melissa Adams 7-6 in the final. With the win, Robichaud will join third Rebecca Atkinson, second Marie Richard, lead Jane Boyle and coach Ellery Robichaud at Mosaic Place in Moose Jaw, Sask., when the Scotties round-robin draw gets underway on Feb. 14. It will be Robichaud’s second crack at the Scotties; in 2008 at Regina, she skipped New Brunswick to a 1-10 record. The New Brunswick team will join an immensely talented field in Moose Jaw, led by two-time defending champion Rachel Homan and her Team Canada foursome from Ottawa; reigning Olympic champion Jennifer Jones and her team from Manitoba; and 2014 Scotties runner-up and newly crowned Home Hardware Canada Cup champion Val Sweeting of Alberta. The Scotties will be preceded for the first time by a a pre-qualifying round to determine the final entry into the 12-team main draw. 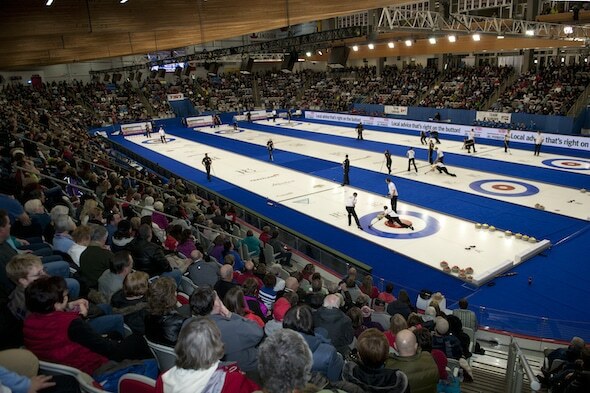 The winner of the 2015 Scotties will represent Canada at the ZEN-NOH World Women’s Championship, presented by Ford of Canada, March 14-22 in Sapporo, Japan, in addition to qualifying for the 2015 Home Hardware Canada Cup in Grande Prairie, Alta., the 2016 World Financial Group Continental Cup in Las Vegas and the 2016 Scotties Tournament of Hearts in Grande Prairie.